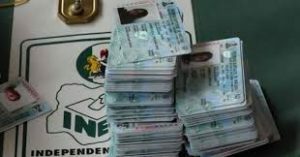 INEC says 93, 788 PVCs uncollected in Plateau – Royal Times of Nigeria. 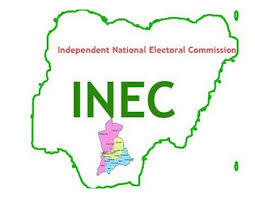 The Independent National Electoral Commission has said that ninty-three thousand seven hundred and eighty-eight Permanent Voters Cards were still uncollected in Plateau. Mr. Imahiyereobo Osaretin, Head of Voter Education and Publicity of the commission in the state, made the disclosure to the News Agency of Nigeria on Wednesday in Jos. According to him, the unclaimed PVCs were for persons who registered between January and December 2017. “Between January and December 2017, we registered one hundred and thirty-three thousand and seven new voters in Plateau and their PVCs have been ready long now. He said, Jos North, Jos South, Wase, and Kanke local government areas of the state had the highest number of unclaimed PVCs. “For example, Jos North has a total number of eleven thousand one hundred and forty-seven PVCs, but only five thousand seven hundred and six were collected. “In Wase, we registered ten thousand four hundred and eight voters and their PVCs ready, but only one thousand two hundred and fifty-three have been collected. “In Kanke, only nine hundred and six PVCs have been collected out of the four thousand eight hundred fourty-eight produced for the area” he explained. The head of voter education said now that the Continuous Voter Registration had been suspended, more attention would be channeled to the collection of PVCs.